Lunch at Chili's on Huntington. 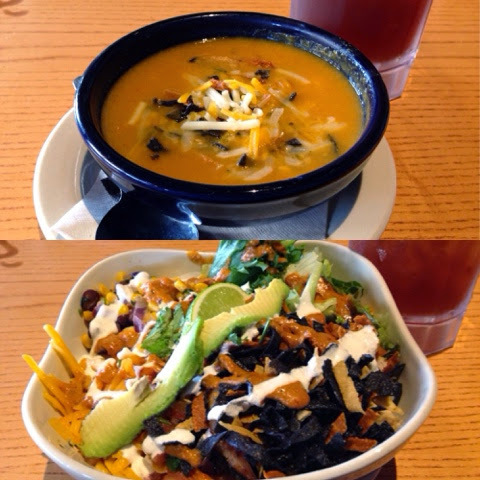 Got the $7 lunch special with chicken enchilada soup and a Fresh Mex Bowl with chipotle chicken. Plus an iced tea, $2.59. Both soup and bowl tasty. The Mex Bowl was kinda like those teriyaki rice bowl things but with Mexican ingredients.